Ever since the release of the Asus ZenBook UX305 Ultrabook in 2015, the ultrabook industry has come a long way. The specifications have made a major improvement by implementation of the latest of technologies. However with the new technologies come new prices. One of the major set backs of the latest ultrabooks are that the prices have hit new peaks. This was never the case with the Asus ZenBook UX305 when it first released to the public. The device was worth what it was offering. However, it brings up the discussion of how well the device compares to the latest devices out on the current market. The Asus ZenBook UX305 Ultrabook come with specifications that aren’t that bad for a device that came out 2 years ago. It packs a 8GB RAM and 256GB of impressively fast storage on its SATA M.2 SSD functionality. For the price that it comes at, it is a major deal breaker when compared to the Dell XPS 13. The Dell XPS 13 sports lower specifications for a much more higher price when compared to the Asus ZenBook UX305. The ultrabook also fairs well when compared to HP’s Spectre x360, which although, matches the Dell’s RAM and storage, it still doesn’t compete with what the Asus ZenBook UX305 offers. In addition the HP Spectre x360 is also more expensive than the Asus ZenBook UX305 and the Dell XPS 13. Therefore, there is no doubt the Asus ZenBook has a lot to offer for the price that it comes at. 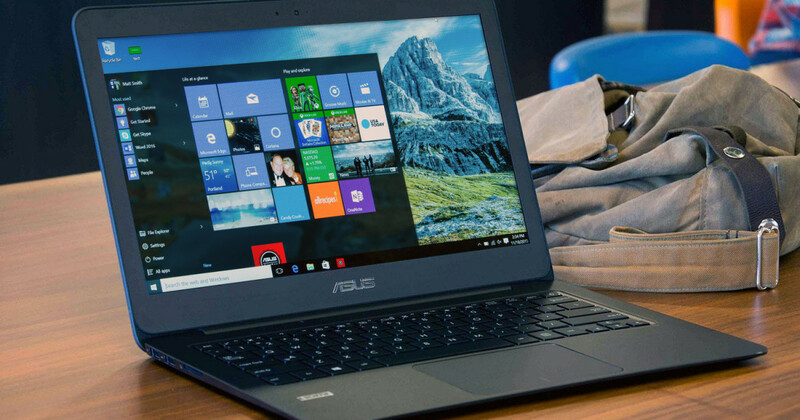 For those who are looking for an ultrabook that can both be good for studies and leisure use; the Asus ZenBook UX305 device is a very valid option.